I've been having some fun playing with my new Lawn Fawn craft supplies. 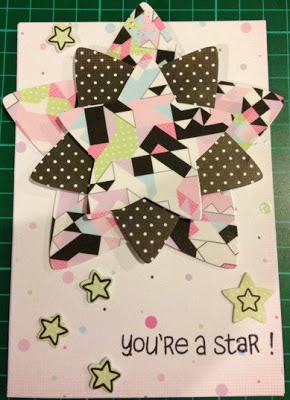 This is the first card I've made with them - just getting a feel for the stackable star dies. I layered the stars using dimensionals between each ones, so it's very sticky-outy.